Alsace is the smallest region in metropolitan France, however it is a region packed tightly with culture, gastronomic delights and of course vineyards. The region offers a cultural blend of modern French institutions and traditional Germanic cuisine and architecture. Alsatian cuisine, marked by the use of pork in various forms evokes conviviality and dishes are served with generous portions. Foie gras has been produced in the region since the 17th Century, however Sauerkraut remains its gastronomic symbol. The region is famous in particular for its picturesque villages and its large number of churches and castles, which have miraculously survived five Centuries of wars between France and Germany. It is also famous for wine-making, with 170km of vineyards spanning the Route des Vins d’Alsace and the stunning forests and lakes of the Vosges Mountains are a sight to behold. 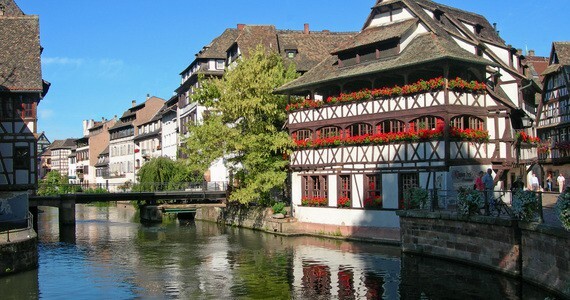 Strasbourg is the region’s capital and the seat of several prestigious European institutions. Its historic centre is a classified UNESCO World Heritage Site. 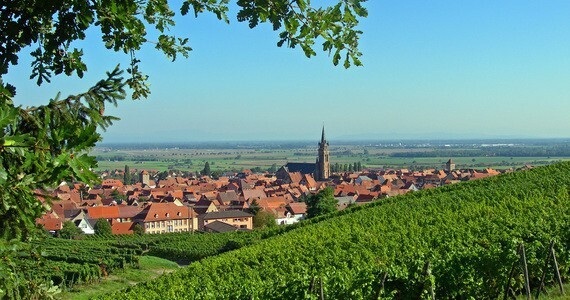 Alsace’s semi-continental climate typically brings cold and dry winters and hot summers to the region. 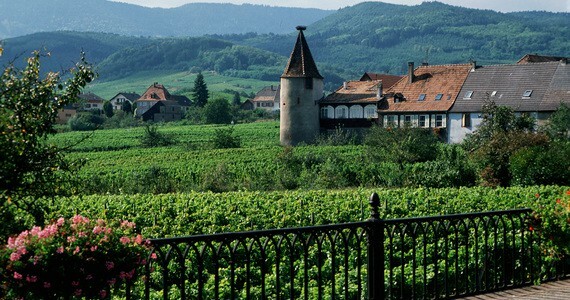 Our friendly team would love to hear from you on +44 (0) 1920 46 86 66 or at info@grapeescapes.netto discuss your requirements and suggest suitable packages, however we have listed here some of our favourite Alsace wine tasting tours, which are also available to book online. The wines of Alsace are, in the most part, white and the wines are usually made from a single variety of grape. The Vosges mountains protect many of the best vineyards from rain and this means that the climate is drier than it might otherwise be. Our Alsace wine tasting tours are based around these sheltered villages. 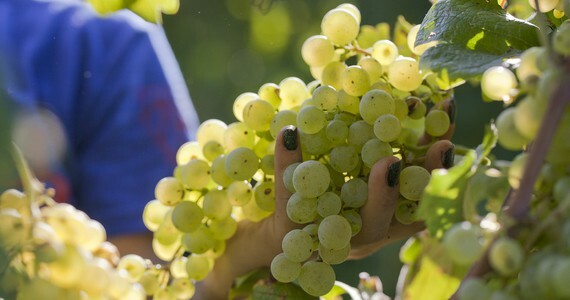 The drier climate in the region allows the grapes to stay on the vines further into the autumn which results in the grapes becoming riper before being harvested. The terroir in the Alsace region is varied creating different characteristics within the wines produced. We offer a flexible range of Alsace breaks. Let us help you find your perfect tour!